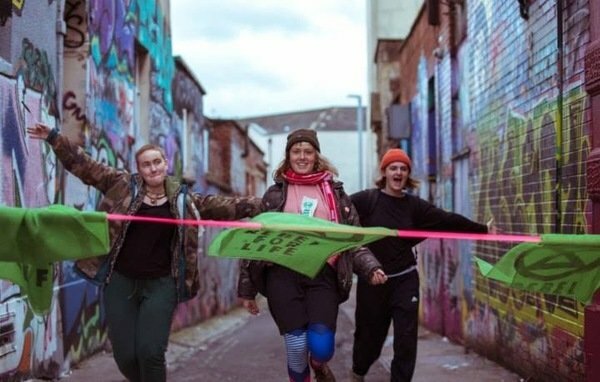 Extinction Rebellion Sheffield would like to invite you to a night of live music, late night DJs and world food at DINA Sheffield. Come and join us in eating, drinking, dancing and celebrating life on earth. This will be a fun, inclusive and welcoming space to meet like minded people. Street food will be served from 18:00 before we dance the night away to live music and DJs. There will be a fully licensed bar. Raffle tickets will be available to buy soon, and on the night. More prizes TBA! We welcome all, regardless of whether you've been involved in our events before, so please bring your friends! No one will be turned away because they can’t afford a ticket, so if you’re unable to afford the lower tier ticket price please contact us on XR.sheffield.fundraising@gmail.com so that we can make alternative arrangements for you!